We have read a lot of comments and articles about the CRJ-550 since its surprise announcement last Wednesday, but none was referring to its economic viability in the face of the CRJ-200 that it is intended to replace. Before making the comparison between the CRJ-550 and the CRJ-200, just a few words about the comparison between the CRJ-550 and the CRJ-700. It is quite obvious that this comparison makes the CRJ 550 look bad, of which the CASM is 27% higher than that of the CRJ-700, so it cannot be more profitable than the CRJ-700. But the goal of the CRJ-550 is to replace the CRJ-200, so for us it’s the end of the discussion and comparison between the CRJ-550 and the CRJ-700 and we will not respond to comments on that. Until recently, 50-passenger regional aircraft, including the CRJ-200, have the highest CASM among regional aircraft. To this it must be added that their RASM (income per available seat mile) is lower; as CRJ-200-sized aircraft offer only economy-class seats, there is no high-income from business class seats. According to our valuation method, the CRJ-200’s CASM is 17% higher than the larger CRJ while its RASM is 13% lower, which leaves it with a reduced profit margin. Despite the low margin of the CRJ-200, there are still more than 350 in service in the United States and it is because there is a need for it. There are still several markets where only a 50-passengers plane can meet the demand. Converting 70-passenger CRJ-700s to a 50-passenger CRJ-550 will allow United Airlines to offer 10 business class seats, 10 economy seats and 30 economy seats, which will increase the RASM by 14% compared to the CRJ-200 while its CASM is 10% higher than that of the CRJ-200. 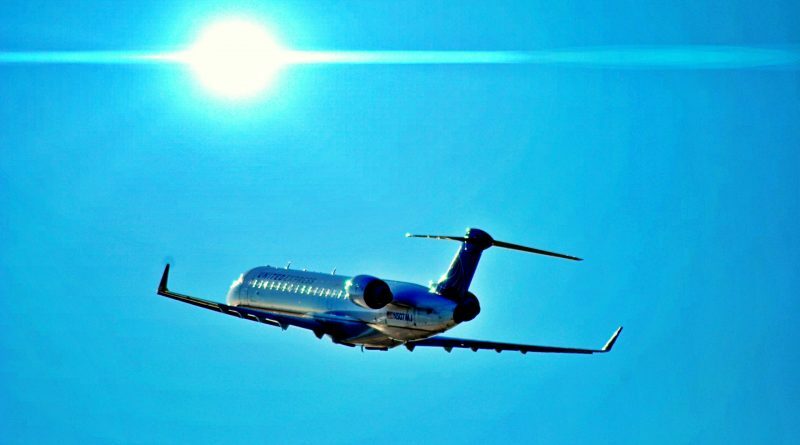 In the end, the CRJ-550 offers a 4% higher profit margin than the CRJ-200. This is an important advantage especially considering that United would have been forced to invest in upgrading the CRJ-200 to extend their life. So the profitability of the CRJ-550 comes from the fact that it offers more revenue than the CRJ-200, despite the fact that it is more expensive to operate. Bombardier assesses the potential of the CRJ-550 at 700 deliveries; this number is likely to includes CRJ-200 and Embraer E-145. These two models of aircraft are no longer in production and anyway they are too small to accommodate 50 passengers divided into three classes. Embraer also ended production of the E-170, which had some similarities to the CRJ-700, but weighs 10,000 pounds nore and disqualifies it as 50-passenger aircraft under the scope clause. The Mitsubishi MRJ-70 is also the closest to the CRJ-550, but it will not fly until 2021 and it also as a 10 000 extra. For now, the CRJ-550 is the only competitor in the running for the replacement of 50-passenger aircraft in the United States and it would be surprising if the short-term opponent shows up. It is Embraer that usually plays in the same Ball park as Bombardier, but it’s about to sell its regional aircraft division to Boeing, which probably never had 50-passenger regional plane in mind. But in order to sell the CRJ-550, the price will not have to be too high, because the companies may want some, but not at all costs.